Keywords, ads, campaigns, ad groups, audiences, placements, site links, the list goes on. 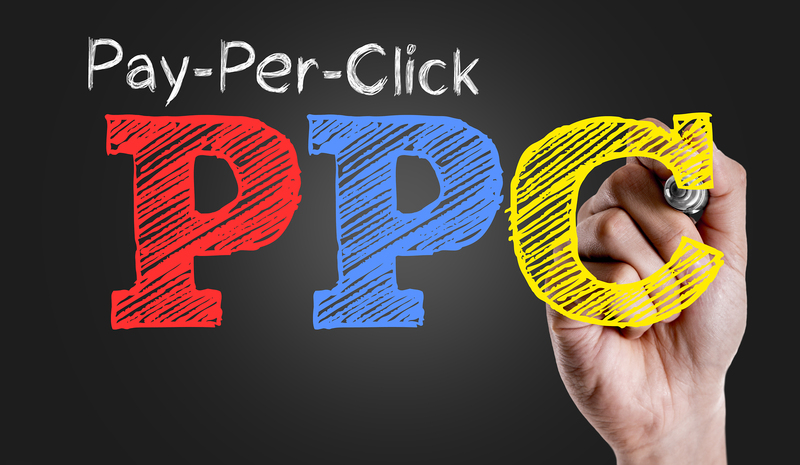 There are tons of elements that live within a PPC ad interface that all work together in ways that seem unidentifiable to the new PPC-er. And that doesn't even begin to cover the data itself. Before we get too far in the weeds, it's important for you to understand the basic structure that each PPC account takes and how those pieces work to cause your ad to show on a search engine results page (SERP).There are four main levels to be aware of: account, campaign, ad group, and the collective keywords and ads level. For this post, I'm going to liken each of these pieces to a different part of a filing cabinet. Let's start at the top. The account is the highest level of organization. It's the equivalent of the entire filing cabinet itself as it's the shell that all of the following layers live within. All of the other elements of the account are housed within this single unit. It would be equivalent to the huge wall of files you see when going to a doctors office. For that business, there is that whole cabinet that encompasses all patient files. There are only a few settings that live at this level that is important to know about such as billing, auto-tagging, and account access, but we'll save that for a separate post. For now, let's keep the conversation high enough to know that an account itself is equivalent to the filing cabinet as a whole. The second level within the cabinet are the drawers or campaigns. They're the second biggest block of organization available in a file cabinet and campaigns are the second biggest grouping in a PPC account. This level starts to give you as the advertiser control over where things go.It's up to you to organize your account well so you can find things when you need them later. As a best practice, I like to make my campaigns (drawers) broken down by one of the top 3 most important things to me in that given account. At the same hypothetical doctor's office I mentioned earlier, they sort these big chunks by first letter in the last name. When they look at the wall for a patient file, they can quickly narrow down the shelf or drawer it's in simply by knowing the first letter of the last name. PPC accounts obviously function differently that doctor's offices. The most important thing in your account isn't the last name. It can be many things. Sometimes it's geography, sometimes it's product groupings, other times it is the profitability of the keywords in those campaigns. No matter what the piece is, it's one of the key things I pay attention to in the account, so it's imperative that I can see the breakdown in performance immediately upon opening that account. Simply make sure your campaigns have clear naming conventions and are easily identifiable later on and you'll be all set. The third level down are what's call ad groups. These live within individual campaigns and operate in the same fashion as folders.Once you've identified the drawer the patient's last name corresponds with, you'll then begin to look alphabetically for their file based on the last name, then first. Ad groups serve to keep individual pieces of a campaign separate from the other, similar to patient files. Ad groups keep keyword and ad pairings separate from others in the same account. Similar to campaigns, it's important you follow a systematic naming convention for these ad groups. Without proper naming, you could easily get stuck shuffling through multiple ad groups before you find what you're looking for. The final level or this digital advertising filing cabinet are the ads and keywords themselves. These are equivalent to the actual papers in the files (ad groups) you're looking through. These need to be very closely themed to be most effective. Just like at a doctor's office, all of the papers in a single file should be about the same patient. If you start including other patient's paperwork in that folder, things can get really messy, really quick. PPC account hierarchy really is simple once you get the hang of it. The good news is that once you've created an account and are ready to start your first campaign, the AdWords interface will walk you through creating your first set of ad groups and keywords so it won't feel so foreign and you can get the hang of it before launching head first into account management.